These are the times when internet has taken over everything. From the way we shop to way we meet people. Everything is online and so is love. The feeling that we all want to conquer and win over and have a happy endinge live in our love lives, Sasiprabha takes the notion of virtual love and find the essence of it spiritually, to write her first book. This book is about a girl’s journey that falls in love with a guy she meets online. The book is in two parts. The first part where the girl learns to love someone and how their love develops over the course of time and in the second half where her lover betrays her and she seeks the true meaning of love by going back to all the memories. Coming to the novel, Sasiprabha has tried to capture the spiritual and true meaning of love. She has given a novel which is poetic in both the narrative as well as the crux of the novel. Since the novel is not very lengthy, it can be completed in a short duration of time but given the way the author has written the novel, you can take time to appreciate the poetry and the way she has written the description of the scenes that take place between the lead characters. Sasiprabha is from Kerala and the book too is based from the city she belongs. The beauty of the city and the love between the protagonists have been penned with much adroitness. The fact that she is a motivational speaker and has been well versed with the classics is seen with the way she has written her novel and the poetry the marks the beginning and the end. 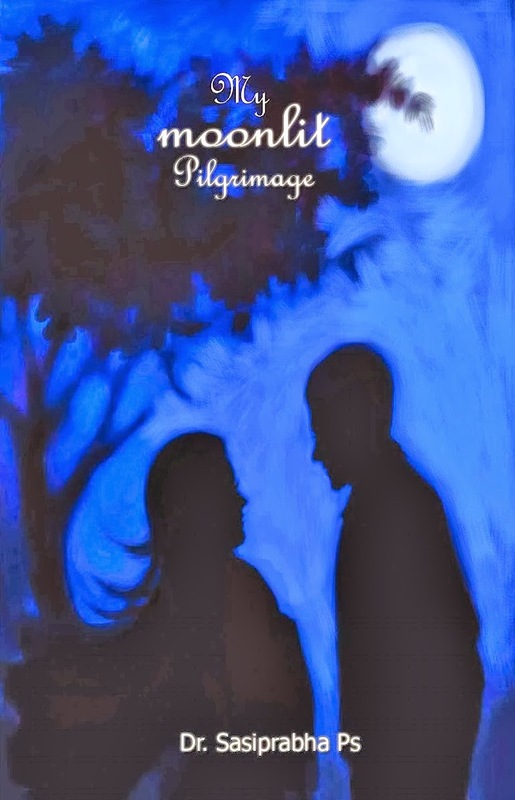 With debut novel, like Sasiprabha’s My Moonlit Pilgrimage at a young age is that they have some inherent flaws that are evident from the way the story has been told. Here also, there is ambiguity in the narration when the author fails to provide the distinction of the genders. Also the novel although has a poetic narration, sometimes it leaves you with a sense that it is poetry collection rather being a novel. sometimes leaves the reader feeling confused. Read the book for its beautiful poetry and a love story that might be modern but also has an ethereal touch to it.